Fun. That’s what Tim Owens brings to the table with his 2014 novel, The Hobbymen. It’s just fun. Ghouls, goblins, monsters. Banter. Sarcasm. Interesting settings and a fast pace. While you read, you can tell that Owens had a great time writing the novel and that excitement is transferred to us as we flip each page. The book starts with Liliana, a down-on-her-luck young nun who’s caught stealing an old loaf of bread in a little town in Mexico and then thrown in a dusty, dark jail. As she sits in the dark basement, wondering if this dilapidated prison is even legitimate and awaiting her outcome, she hears the running of two young men being chased by something she’s never seen before – a scaly monster with fangs and a vicious demeanor. She watches as a fight ensues. After the two boys knock out the strange beast, they take pity on her and let her out of her cell. We find that the two men, Geoff and ‘Book’, are monster hunters, tracking down the true origins of mythical creatures from legends, stories, and myths. Geoff and Book are friends, though very different in personality and are constantly barraging each other with good-natured sarcasm and other scathing remarks. While originally the boys were simply going to return Liliana to her convent, they quickly become a team. Working out of their shabby van, they go on all sorts of adventures – following leads for any gruesome, dangerous, or fascinating creature. Unfortunately for them, other more nefarious characters have caught wind of these adventures and they have their own vested interests in the creatures that they search for. This all leads to an exciting conclusion involving a huge rock-like monster, severed hands, and incantations. 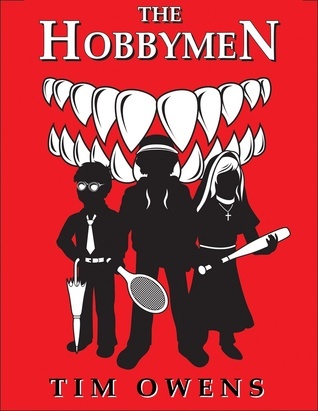 With The Hobbymen Tim Owens has created a fun read. The dialogue is entertaining. It flies with sarcasm, humor, and references to other fantasy stories like Lord of the Rings and the classic 90s flick Tremors. The storyline is somewhat simple, but the characters and creatures continually pull you in to read more. We watch as Liliana changes from a young runaway with no real plan, to a strong, determined woman who can fight just as well as the boys. 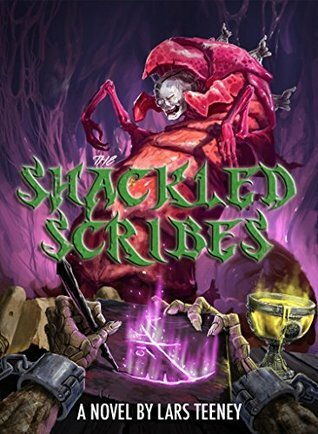 And as we flip through each page, we find that like Liliana, Geoff and Book have their own secrets and past hardships which drive them on their quests. And surely there’s chupacabras and voodoo, but it’s really a book about a girl who felt alone due to the mistakes she’d made and then finds a home, a place where she belongs, in an unexpected place and with very unexpected people. I give The Hobbymen 4 out of 5 stars simply because it’s just good old fashioned fun. For the monster-lovers and supernatural-junkies, I would recommend this quick and light book. Because of the easy writing style and the young characters, the book lends itself well to a young adult audience, though parts might be a little intense for the younger end of that demographic (I mentioned a severed hand right? ), but in the end really anyone would enjoy this. Friendship. Adventure. Voodoo. What more could you want in a book? The Six and the Crystals if Ialana is the first book of the Ialana series. The author, Katlynn Brooke, brings this coming-of-age fantasy to life with rich details, a large cast of characters, and a world rife with magic. Jarah is the son of a baker but isn’t happy in the village. Night after night, he dreams of an island nestled in the sea. When the King’s army comes through demanding young men for conscription Jarah, Aiden, and the local bully Blaidd are caught up by the press gang. Jarah and Aiden discover that they are having identical dreams, but Blaidd is not. Tristan, an older soldier, overhears them and contrives to help them all escape. In the mountains, Kex fights with her family over marriage, so she packs her things and leaves her clan. Tegan, a budding healer, flees her burning village. 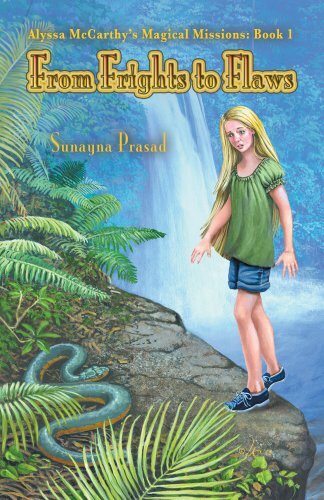 Djana is smuggled out of the city of Rhiannon when her parents are captured and sold into slavery. They are all driven to find the places and the people from their dreams. One by one, they find each other in the woods and are rescued by a mysterious shape-shifter named Irusan. The enigmatic creature becomes their first teacher, revealing secrets about their past and hope for their future. 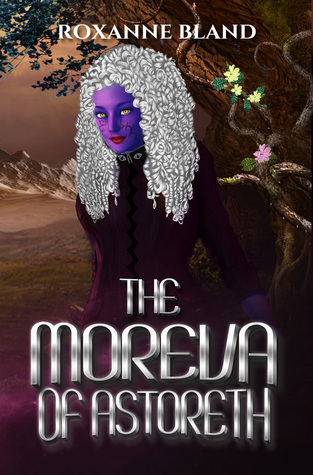 They discover the first glimmers of their unique gifts, and Irusan prepares them to take up a quest they failed in another life, five hundred years in the past. I was delighted by the world of Ialana. The landscape is richly described, and the history of the people and their legendary ancestors provides a foundation for the wonders that the Six will encounter. The origin of humans is complex, steeped in mystery and deeply connected to the crystals. The Dherog, descendants of dragons, make terrifying antagonists. Lord Amrafalus’ rule over half the continent bringing slavery, mutated creatures, and fear. The goal of the Six is to heal the damage of the Dherog, free the world from slavery and oppression, and return it to harmony. Be prepared for a large cast of characters. The author does a fine job of showing how each of the six healers learns and grows throughout their journey, and that was my favorite aspect of the story. I was grateful for the chapter and section headings that identified the character or setting. This was helpful because the point of view changes so often that it can be confusing. Some key scenes felt rushed, summed up in just a few sentences, and I wish the author had taken more time to show the scene unfolding instead of just telling readers what happened. There’s a lot of information to remember, and a lot of it is “told” in conversations where people discuss what they already know. However, some of the best parts of the novel are when the characters discover their history for themselves. While some scenes are genuinely terrifying, there’s very little graphic violence, but a lot of nail-biting suspense that will keep the pages turning. 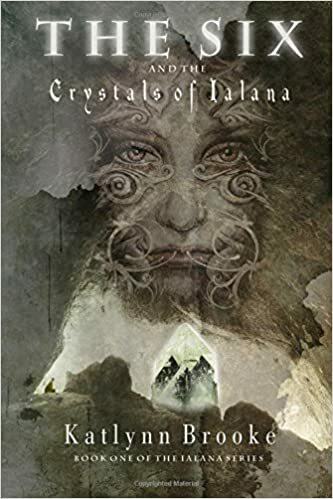 The Six and the Crystals of Ialana is a solid YA fantasy that calls to mind classics like the Shanarra Chronicles. The plot is refreshingly original, complete with surprising plot twists and interesting, engaging characters. It ends on a note of suspense that leads to the next book in the series. Arinda has been in hiding for her entire life. 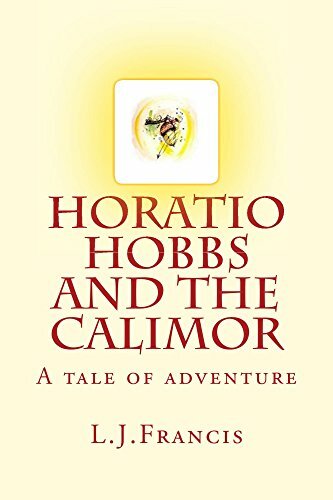 While nearly everyone in her little town of Amok can learn the simple magic spells that make everyday life simple, she doesn’t dare try. If the townspeople discover that she’s an actual magicker, she’ll be enslaved by the Circle of Mages for the rest of her life. Her Nanny raised her with dire warnings about the evil Mages and protects her so well that not even her parents know her dark secret. When their parents send them to a boarding school, Arinda and her elder sister Amaris are on their own. The Headmaster, Jahx Rife, seems to take a keen interest in Arinda, and she’s desperate to keep him from discovering her magic. Of course, things go awry, and Arinda confronts her worst fears. Her suspicion and anger might blind her to the intentions of the Circle of Mages, but some of what her Nanny told her has a veneer of truth. There’s someone she should be afraid of, but her stubborn nature may keep her from seeing the threat for what it is. Jeanne Bradford offers a Young Adult novel that is entertaining, fast-paced and full of intrigue. It’s almost heartbreaking when Arinda faces hostility and rejection, and digs in deep to defend herself from all of the perceived threats around her. In her eyes, everything her Nanny warned her about is coming true. She’s a stubborn young woman and she’s determined to keep herself free. The world building here is excellent. I was prepared for a story about magical boarding schools, but the author surprised me and took the plot in an entirely different direction. The setting is intimate, a small kingdom founded many centuries ago by people who “came across” from another place. The wilds are full of magical creatures, and small spells and devices are commonplace, but greater magic is feared. Mages can command powers from many branches of study, and readers learn about the use of magic and its dangers right alongside Arinda. There’s a large cast of characters. Alongside Arinda, Jahx, King Nathan, and Cullen are the members of the Royal Household, other Mages, and a nasty piece of work named Sebastien. He and his cronies are young, arrogant, and perpetually in disgrace. Sebastien makes a perfectly nasty antagonist for the novel, exploiting weaknesses in the Mages’ ranks and determined to take Arinda as his own. A strong book needs a strong antagonist, and Sebastien does not disappoint. One thing I found troubling is that so many of the conversations were contentious. It felt like nearly every time two characters spoke to each other, someone wound up shouting, back talking a superior, speaking rudely, or getting angry. There is a lot of dialogue in this book, and when so many conversations are highly emotional or held at top volume, it diminishes the impact of the situations they’re discussing. 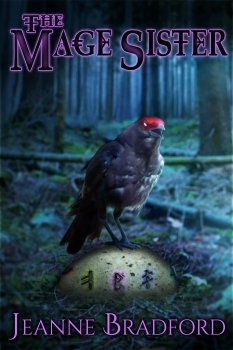 I enjoyed The Mage Sister and recommend it for readers 14 and up. 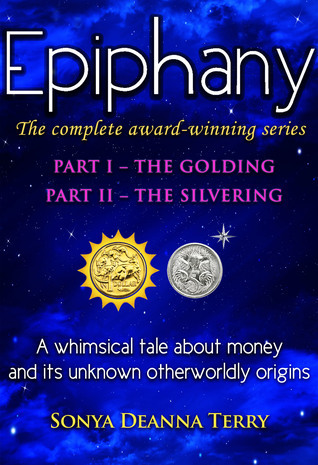 The novel leaves enough room for a sequel, but it will easily stand alone as a complete tale. Like many fantasy novels, the themes of learning to trust, leaving childhood behind and joining together for a common cause are strongly presented. Check it out for yourself or for your favorite stubborn, self-determined teen. Fourteen-year old Maelen Saltbearer is finally on her first business trip with her parents who are merchants from the shore. She is old enough to learn more about the family business and has the opportunity to learn hands on while discovering the world outside of her hometown. However, their arrival in the diverse city of Kaelennar takes a turn for the worse and they find themselves in a perilous situation with no escape. With an invasion of magical creatures against the humans and other races that lived in harmony in this bustling city, Maelen learns first thing about survival as well as herself. Nothing in her life could have prepared her for the battles ahead. From the first paragraph that is rich with vivid detail, readers are drawn into Maelen’s mind as well as her world. No description is left out, which makes it more exciting and more interesting to read. The story is from her point of view and readers feel her impatience of not knowing enough of what is happening in the world that is slowly dying around her. It’s easy to feel as if the reader is right next to Maelen through it all and enduring the joys and hardships she encounters. Each chapter has little teasers as the reader tries to understand more about Maelen and what her destiny or purpose is. She is just an average girl who is smart and driven, but there is something about her that makes her a bit more special. In the story, there are sexual situations and violence, but considering the predicament Maelen and her family are in with a hostile invasion, it is relevant to the plot and suitable for young adults. The story also deals with a variety of themes such as war, dystopian society, racism, and fighting back against corruption without picking up a weapon. Even those characters that come across as physically weak draw on their own strength and talent in order to survive. This fantasy is complete with amazing creatures and races as well as magic and dark powers. It has its share of tyrants and tragedies. Emotional and gripping, it is well written and makes it difficult to put down at the end of the chapter. As Maelen’s life comes to a place where her path must take a turn, the reader easily tries to imagine and predict her next consequence for her actions. 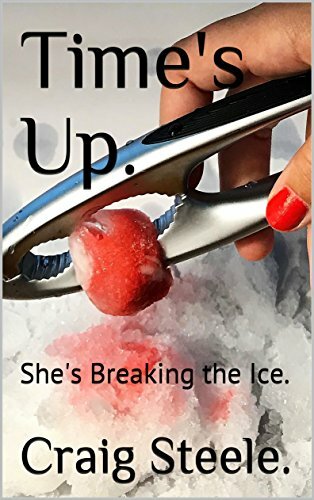 She even learns that she cannot anticipate the direction her life will take her no matter how hard she fights it or tries to make a change for the better. 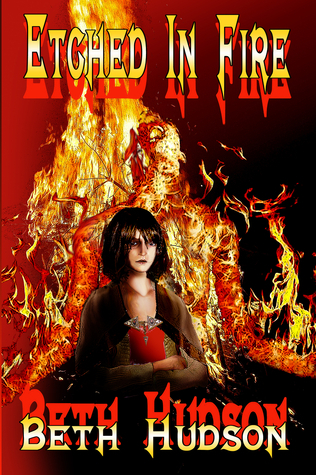 Etched in Fire by Beth Hudson is intense and complex from start to finish. It makes the emotions and fears tangible to the reader and changes them. The journey with Maelen is long and full of moral challenges, but it is a worthy read that will take the reader away to a darker world of its survivors of all ages.